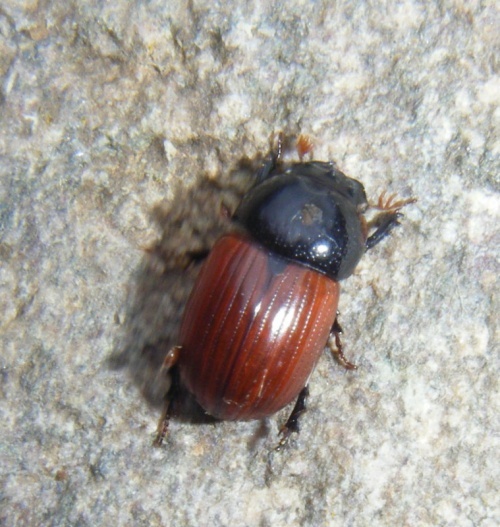 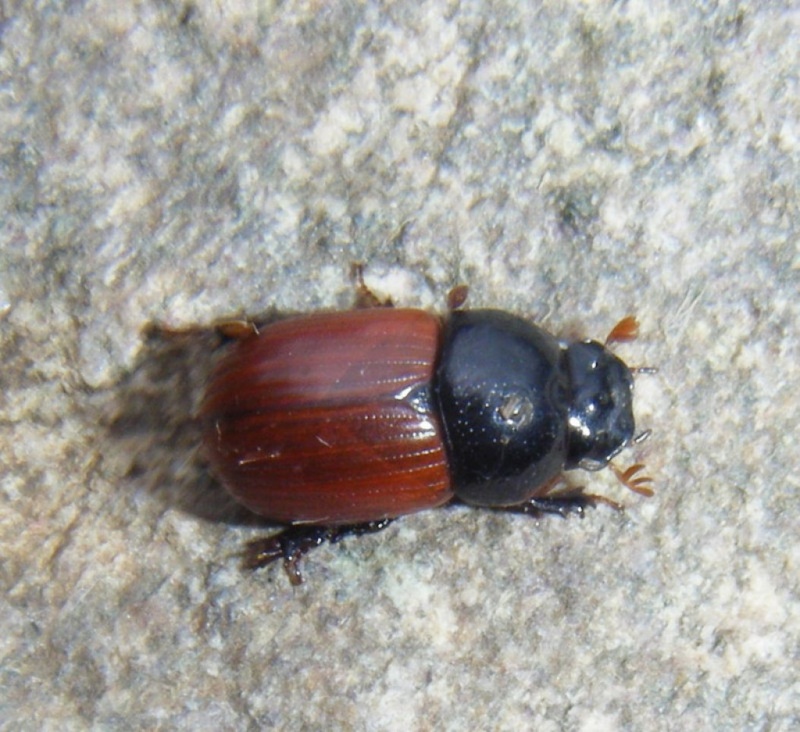 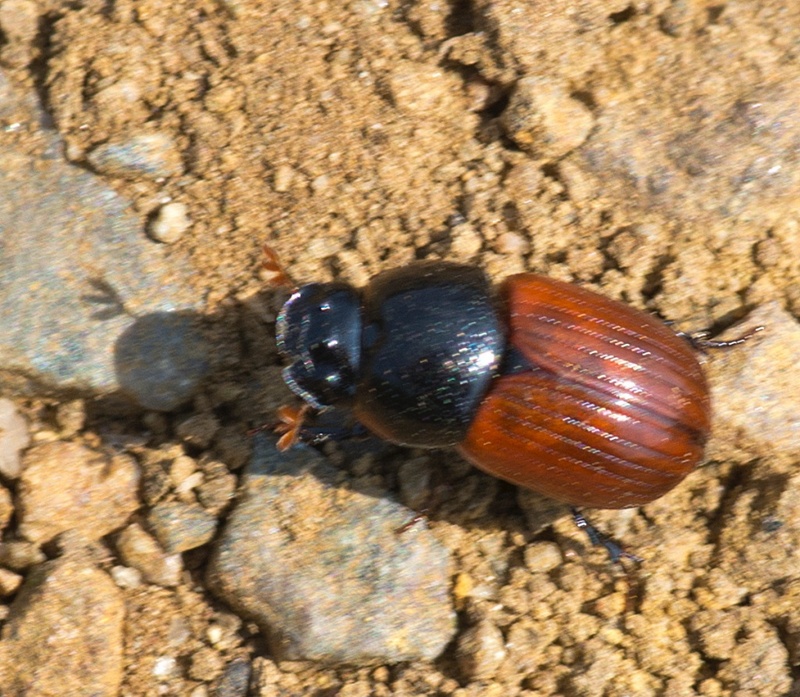 One of several similar dung beetles with orangey elytra and black head and pronotum. 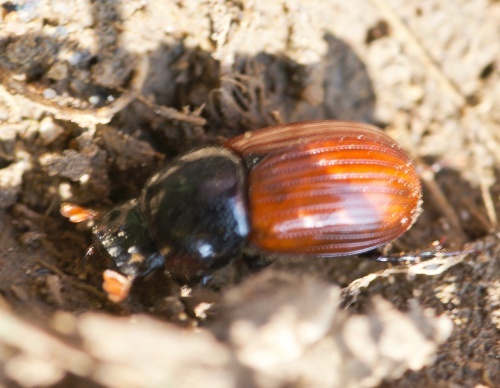 Found around dung and in pastures used by cattle. 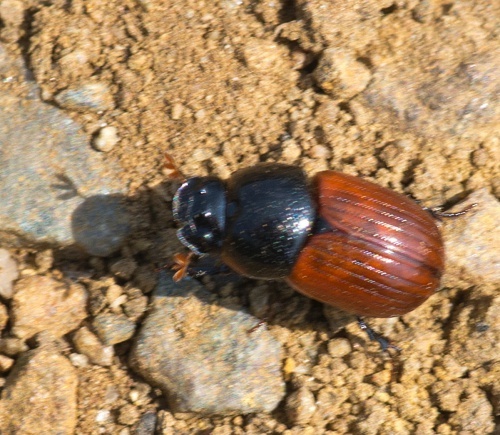 British status is unclear as the species has been split and it is difficult to assign previous records between Aphodius pedellus and Aphodius fimetarius. 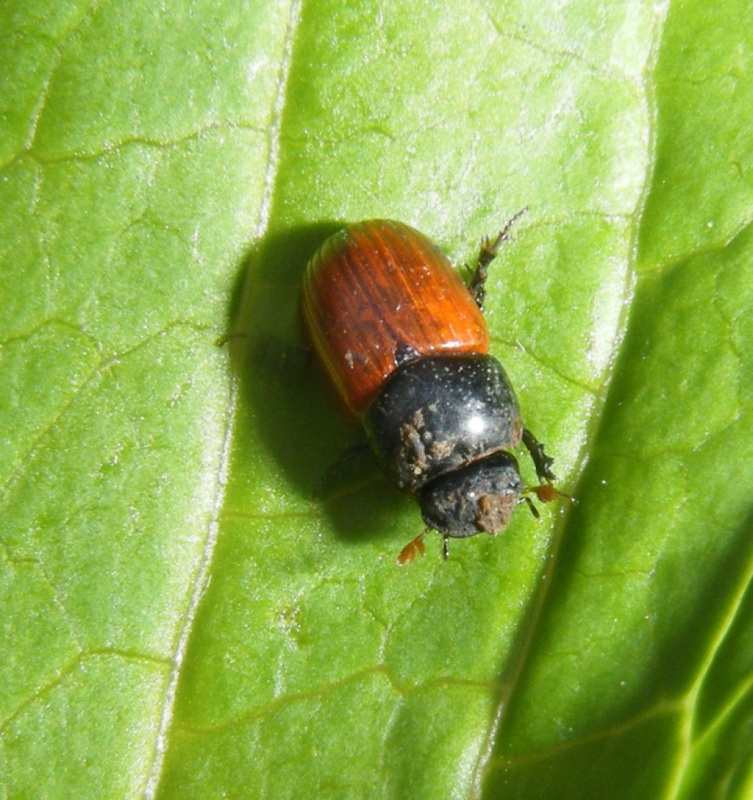 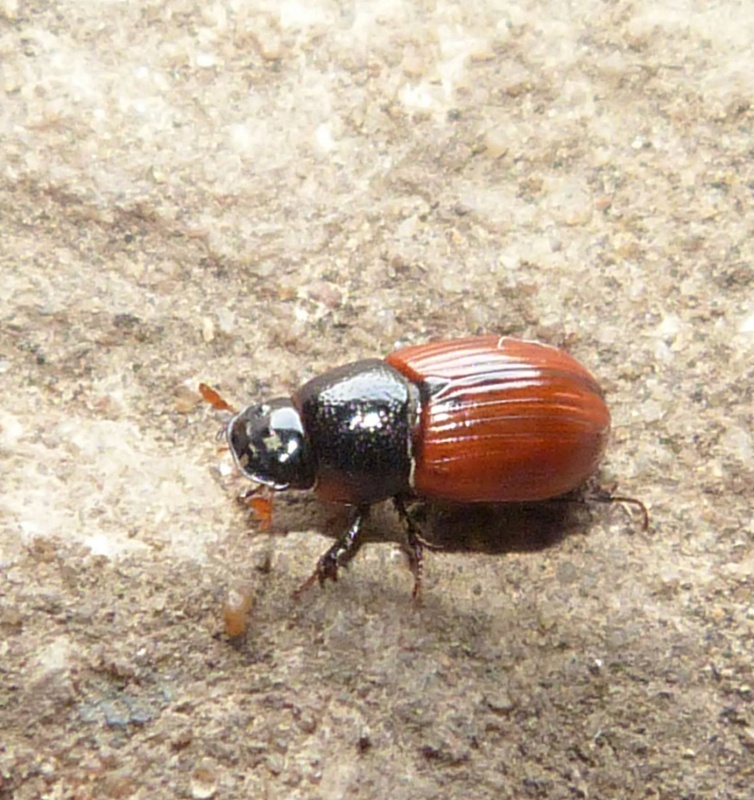 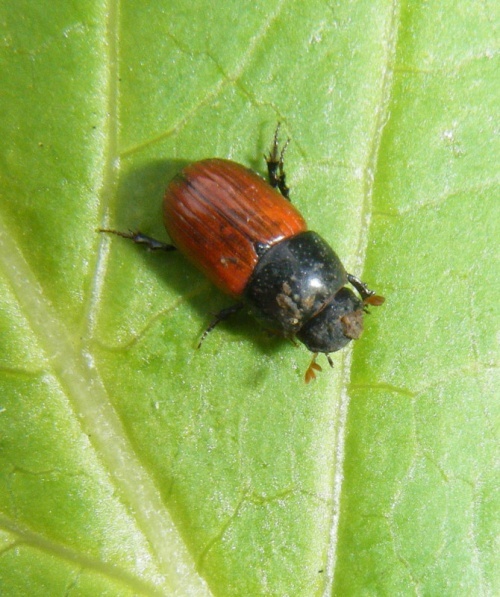 Status in Leicestershire and Rutland is unclear as the species has been split and it is difficult to assign previous records between Aphodius pedellus and Aphodius fimetarius.